I have a translation deadline for 10 am tomorrow, and seeing that I’m a night owl and that’s about the time I get up in the morning (one of the joys of being a freelancer), I had to finish tonight. It’s now off, and I can finally get around to an update. Given the developments of the last few days, I really will be eating my words and keeping Shadow of Stone in KDP Select for another round. 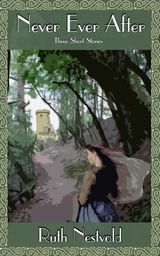 In the last three days, I’ve made nearly as much in borrows on SoS as I made on Yseult in all other venues in the last two months since I took it out of KDP Select. And that’s not counting the additional sales of Yseult in the last few days on Amazon. While I understand the haters being against Amazon’s dominance of the market, this is a purely self-centered, marketing decision on my part, based on my own sales data. At the same time, while it might possibly be more lucrative for me to put Yseult back into KDP Select, I won’t. From what I’ve heard and read, the other ebook markets out there need a lot longer to take off, but the reward is more staying power. I haven’t been in the alternate markets long enough to confirm that, but I think it’s worth it to stick around a bit longer to see if it will work. In other news, I finished this revision pass of Chameleon in a Mirror. Since my critique partner doesn’t have time to read it until April, I’d like to still do another fast read-through before I send it along. Luck and skill to everyone! The Allied Interstellar Community first contact team on the planet Kailazh is faced with even more challenges than most. 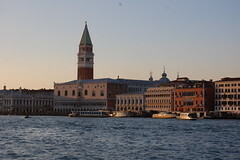 But dealing with an alien culture is not only difficult for those who arrive on a foreign world. What of the inhabitants of the planet, who now have to deal with realities so strange to their way of thinking, it will have an impact on everything they believe? Kislan is a factor in his family’s shipping company, a man who has seen many ships arrive at the docks of Edaru from many different cities, who deals with foreign goods from all over the known world. 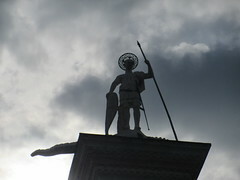 But the ship that arrives from the stars brings more than exotic innovations, it brings ideas that will change his life. And it brings the beautiful ambassador from the stars, Toni Donato. Beyond the Waters of the World is a science fiction novella of approximately 23,000 words, or about 60 pages. 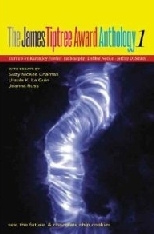 It is the second book in the Looking Through Lace series. Even though the book is already published, it’s still causing me a fair amount of work. I’ve contacted potential reviewers, listed the book on Goodreads, started editing the back matter on my other books to include this one, and other marketing tasks. Nonetheless, I have managed to get back to Chameleon in a Mirror, and have gotten another 2,000 words done. And before I forget, a reminder: The Future, Imperfect, a collection of dystopian short stories, is FREE today and tomorrow, Sept. 5-6. If you don’t already have it, be my guest and grab yourself a copy! And if you are so inclined, please pass the word along! Reminder: Looking Through Lace and The Future, Imperfect FREE today! Two of my ebooks are free today, my dystopian short story collection The Future, Imperfect and my science fiction novella Looking Through Lace. If you don’t already have them, please, help yourselves! Just a short update today. This past week, I’ve been caught up in the business end of going indie, and the writing progress, while perhaps looking good in numbers, is less than I would have wanted. I am now at 51,000 words for Chameleon in a Mirror, but the 11,000 words added in the last week were edited rather than typed in from scratch, as I have been doing until now with this new version of the novel. But after rereading this section in the old version, it seemed to me that it needed less work than earlier chapters, so I decided to largely go with what I already had. Business progress: after creating the new cover for The Future, Imperfect, (partly alone and partly with my daughter) I decided to schedule a freebie to test it and see if it gets better downloads now than with the old cover. 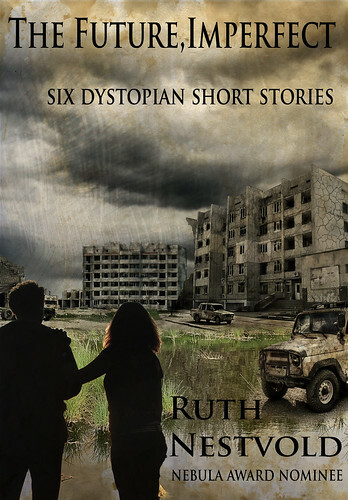 So if you don’t have it yet, make a note that my collection of dystopian stories will be free July 10-11. 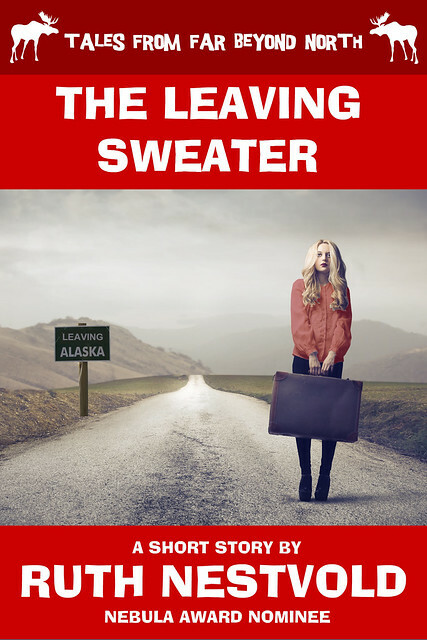 If you download it and enjoy the stories, please consider leaving a review! I think it’s safe to say that reviews are more important for indie publications than for traditional publications. Reviews are the new gatekeepers. I got a great review of the collection on a blog, but it’s still reviewless on Amazon. Besides the lit-fic looking cover, I think that’s the other main reason the sales are so far behind my other ebooks. 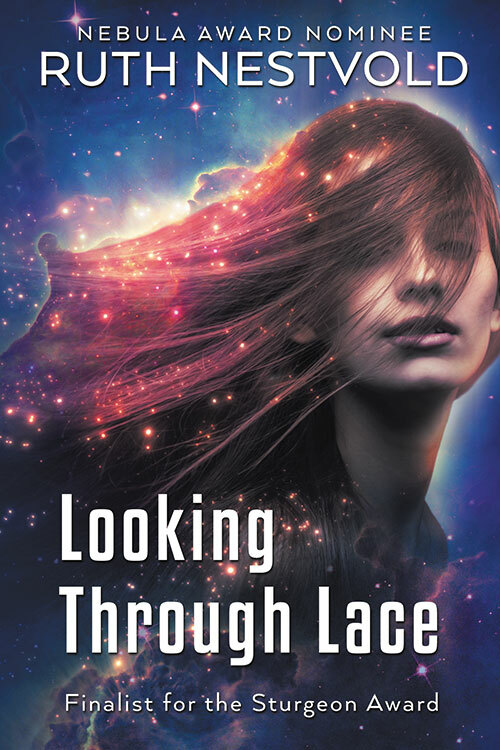 In order to keep the link in the alsobots with the other science fiction title I have available as ebook, I will also be giving away Looking Through Lace on July 10. Please pass the word along! 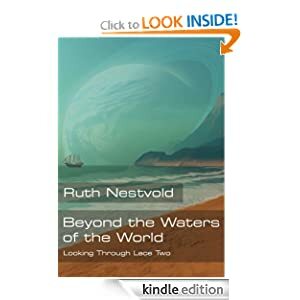 Speaking of Looking Through Lace, I have contacted a cover artist for the second novella in the series, Beyond the Waters of the World. Next week, I will probably be putting Chameleon in a Mirror on hold for a while to whip Waters into shape. Once I’ve determined how much time I’ll still need, I will announce a publication date. Since my sales on The Future, Imperfect have been Utterly Dismal(tm) compared to my other titles, I will probably upload the new cover no matter what. It can’t get much worse. 🙂 But I would love feedback, if anyone cares to share! And, ah yes, writing. I’m behind on that, but marketing matters and grandmother duties take their toll. And today Mira told me, “Oma, du bist die Beste! !” (Grandma, you’re the best!) She’s not quite two-and-half years old, and she speaks mostly in complete sentences, snapping up new vocabulary like a wildwoman, understands nearly everything I say in English, even though I only have her a couple times a week, and charms the pants off me, despite her tendency to throw the kinds of temper tantrums typical of the strong-willed. But, being a grandma, I interpret that in a positive light: she’s a little alpha gal, and no one is going to get her down. Unless it’s a spider. 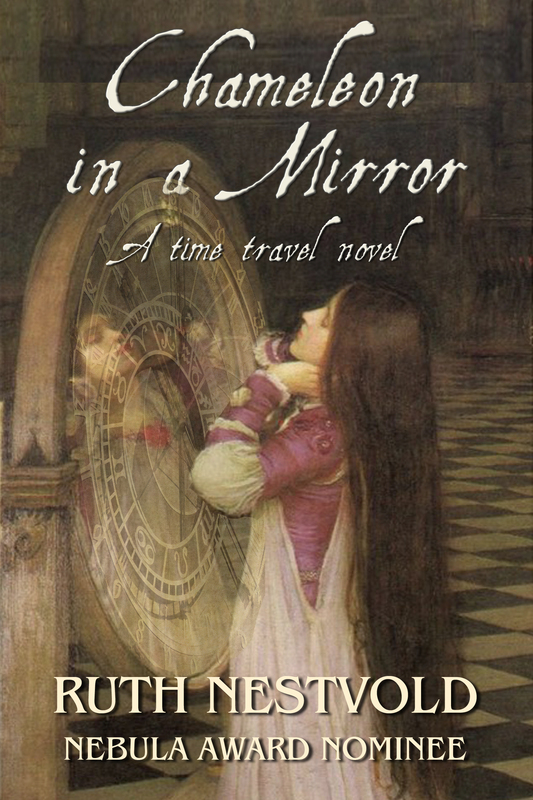 – FINISH the new version of Chameleon in a Mirror, my Aphra Behn time travel. I’m 40,000 words in, so I think it’s doable. Yes, I thought so in the last round, but getting Shadow of Stone ready for publication took a lot more time than I expected. I don’t have any other projects that big slotted for this round, so I hope finishing CIAM and getting it off to my critique partner is fairly realistic. 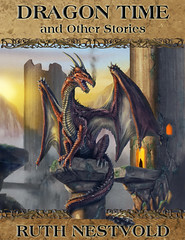 – Release at least one more mini story collection of previously published fiction at 99c. The more the merrier, and the more books I have, the more often I can have a free promotion to get my name out there among the indie-reading-public. 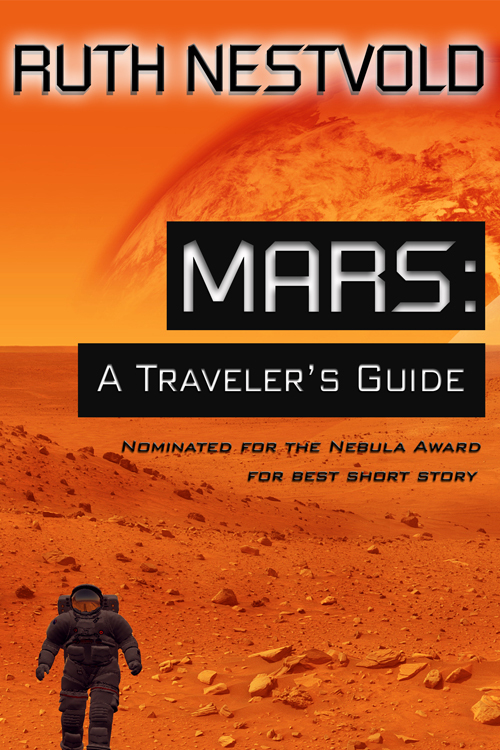 – Revise and submit at least three short stories to traditional publications. I have too many stories I never got around to polishing and submitting, something I used to be so good about before I sold my first novel. But in the epub-world, the value of various lengths is shifting dramatically, and there is now a lot more potential income for novelette and novella-length fiction. Good luck to all on their goals, whatever they may be! The free ebook promotion I have going right now has been getting some nice attention from other blog sites. 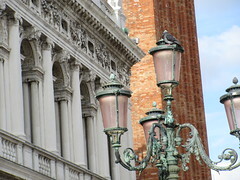 The latest is a listing on Free Kindle Books and Tips for Looking Through Lace. 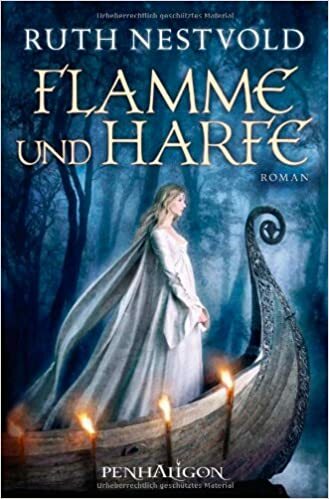 Yesterday, all three freebies (Looking Through Lace, Dragon Time and Other Stories, and The Future, Imperfect) were listed on SF Signal and Upcoming4.Me. Here’s hoping that will up my numbers enough to help Shadow of Stone when I publish it! I also learned the publication date for my flash fiction piece “The Magician of Words.” It will be sent to Daily Science Fiction subscribers on June 14. A week after that, it will appear on the DSF site. – One final editing pass after getting the manuscript back from the editor, both to address the things she found and to do my darnedest to make sure as few mistakes as possible slipped through. I’m sure someone will still find something, but at least I can in good conscience say I did my best. After handing off the manuscript, I enlisted my daughter to help me update the map from Yseult. The world is, of course, the same, but I needed to add some of the more important locations that only play a role in Shadow of Stone and thus were not included on the map for Yseult. That is nearly done now. Then once I get the manuscript back, I will start on the formatting. If I don’t meet with any major glitches, I will hopefully have the book done on the target release date of June 5. Yeah! Originally, I’d been intending to be finished with Chameleon in a Mirror by the end of this month, but I spent a lot more time on the final editing pass than I’d intended. It will be good to get back to actual writing again! 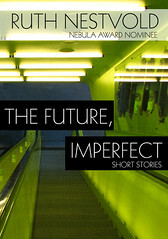 A reminder: my short story collection The Future, Imperfect is FREE through June 5, a little promotional freebie before I release Shadow of Stone. Tomorrow, Looking Through Lace and Dragon Time also go free. I got some wonderful promotion for my freebie splurge from SF Signal, and now The Future, Imperfect is up to #40 in Science Fiction on the Kindle free bestseller list. Thanks again, John! Sometime this week, I seem to have cracked the magic number of 1,000 ebook sales. We will see if this gets me into more “also bought” lists or other kinds of nifty attention that will help my visibility! It would be lovely to just lean back and get more writing done, but I don’t think it’s going to happen. Besides, those sales are across all my titles, and I’m not sure if the good stuff I’ve heard about kicks in for total sales, or only if a single title passes the 1,000 mark. If it’s single titles, I still have a way to go. My best seller (not to be confused with bestseller! 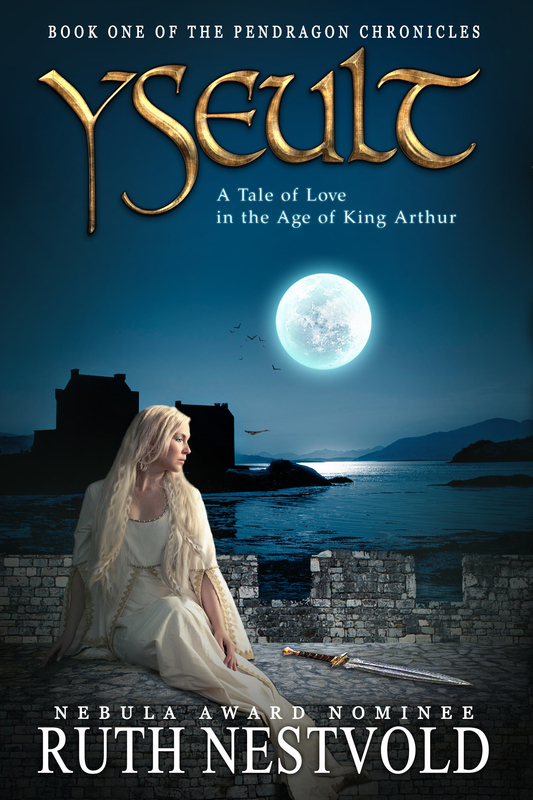 ), Yseult, is at just over 450 sales now. I’m also not sure how borrows factor in. I’ve had a little under 200 borrows (over all my titles) as well. 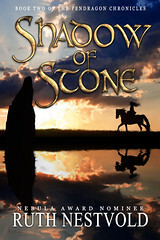 Unfortunately, I still don’t have Shadow of Stone ready for publication. On this final editing pass, I’m up to chapter 25, so that should be only another day or two. Then I need to update the map for this book and do the formatting. I’m now shooting for a publication date of June 5. I got some nice feedback yesterday that I want to pass along. 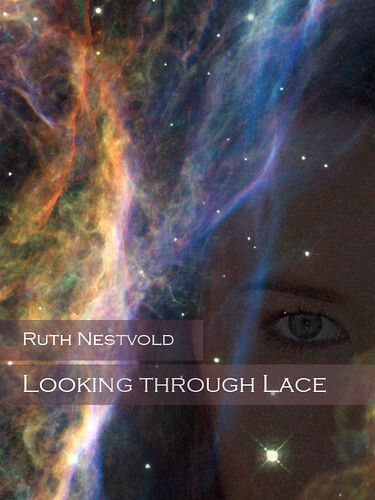 Looking Through Lace got a lovely review that you can read here. 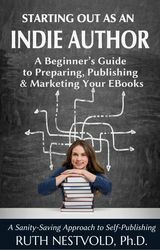 And Webbiegrrl based a great blog post about indie promotion on my post about going free with KDP Select. I wish everyone else encouraging developments in their writing! “The Future, Imperfect” FREE for 24 hours! 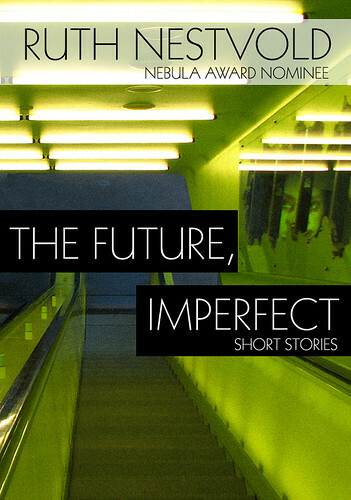 “The Future, Imperfect” is a collection of near future, dystopian short stories by Ruth Nestvold. Environmental changes — slow in some regions, catastrophic in others — have had a major effect on our world, not for the better. While water wars and pandemics have devastated the Mediterrean region, and a major earthquake and the resulting destruction of nuclear power plants and sensitive research facilities have made much of California a wasteland, corporate-sponsored enclaves defend themselves from the have-nots. What can any one individual do to make a difference is such a world? These are the stories both of those who tried and those who failed. 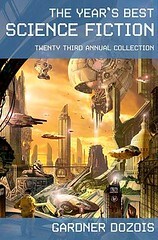 Five of the short stories in this collection were previously published in such venues as Asimov’s and Futurismic. 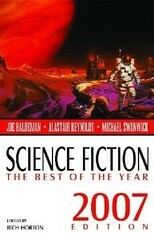 “Exit Without Saving” also appeared in Rich Horton’s “Science Fiction 2007: The Best of the Year.” “Killfile” is an original publication. “The Future, Imperfect,” is a story collection of approximately 40,000 words. P.S. If you have any suggestions for the description, I’d be happy to hear them!